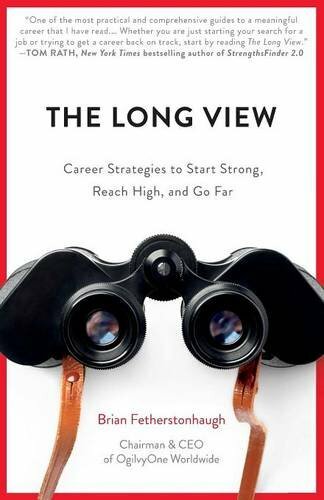 “The Long View” by Brian Fetherstonhaugh is an impressive reference book for career-minded people at all stages of their career. This book provides all kinds of great advice for helping those in the workforce take advantage of where they are currently by learning valuable skills, as well as how to navigate up the ladder. Mr. Fetherstonhaugh offers excellent ideas for career development and fulfillment throughout the book. One of my favorite sections is early on when he talks about transportable skills. This is such a critical chapter for everyone. Not only can young people just entering the field benefit greatly from developing transportable skills, seasoned workers can benefit just as much, by learning new skills that are transportable. These skills can make any person invaluable at any company. Throughout this book, the author offers helpful tools that are sure to enrich anyone’s career path. After explaining in detail valuable “fuel” every career seeker should have, he supplies a career inventory and ecosystem for readers to write down the fuel in their own tanks. Mr. Fetherstonhaugh also provides a leadership-style guidance scale that uses relatable verbiage to help leaders quickly and easily figure out where they excel, and where some challenges may lie. This book has sound advice for working parents and those with an interest in international work as well. As a person who has transitioned through several career paths, I found this book to be extremely helpful for any field at any phase of life. I highly recommend “The Long View” by Brian Fetherstonhaugh for anyone just starting out, as well as those at the mid-career stage, or later. As a middle-aged person, feeling like I’m starting over, this book offers hope and guidance for finding a career path that is engaging and meaningful. By developing skills suggested by this author, anyone can create a career that is fulfilling at any stage of life.